If they told you your favourite audio player is lightweight, they lied to you. Decibel Audio Player is the one that does the right thing. It can play. You can browse directories. It can shuffle tracks and show album cover. It's written in Python. Did I wrote it can play? No SQLite, no MySQL, no NoSQL. Although there is a possibility to build a database via simple plug-in, the main workflow are, belive me or not, files and directories. And lzap loves that. Yay, lzap wants that! This package was orphaned for some time in Fedora, but I made it back into Fedora 17 (FEDORA-2012-8412). 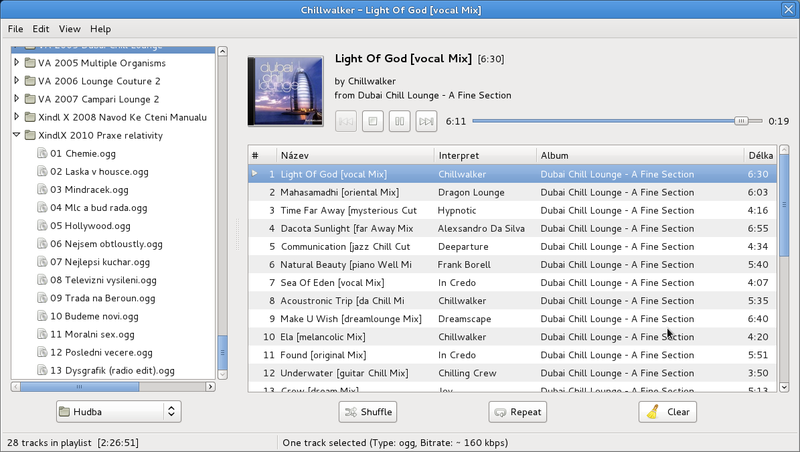 Enjoy this awesome audio player once again.